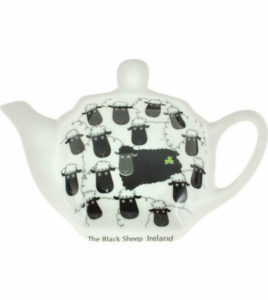 Irish blessing, tea bag holder. Featuring an authentic Irish Blessing which brings the owner good luck. It is a reminder of the Emerald Isle that can be used every day. 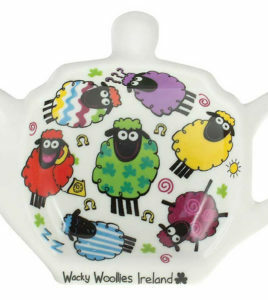 This ceramic teabag holder comes in cream to compliment your kitchen decor. In the shape of a tea pot it is decorated with Celtic spiral and a knot work patterns in the colors used in the famous Book of Kells. An ideal addition to your kitchen.